Nuxe is a french skincare brand, been around since last 25 year, pioneering in natural-origin cosmetology. The brand follows strict rules and regulations to maintain the quality commitment. The products are made in France – from formulation to production. There is no mineral oil, no parabens, no animal origin ingredients used in the products. 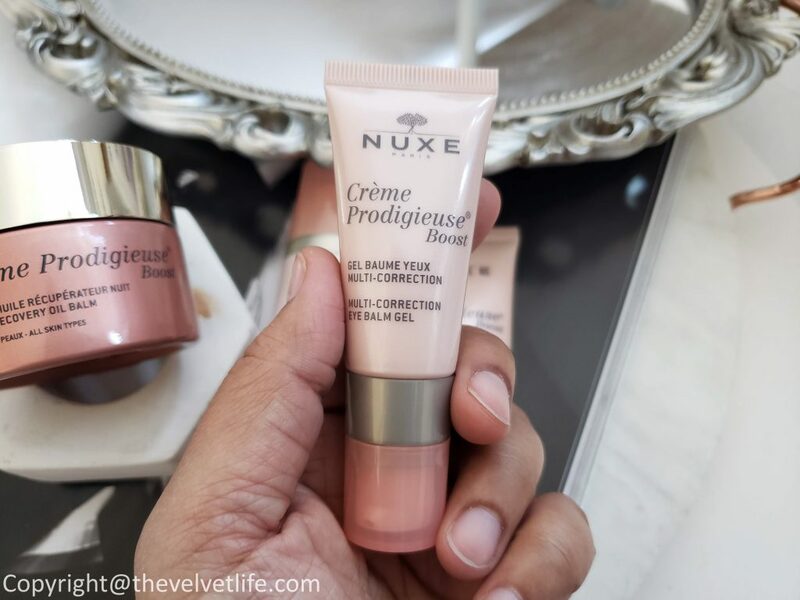 The new Nuxe Crème Prodigieuse Boost Antiaging Skincare Collection targets the women aged 25-39 who are the expert multi-taskers, working longer than normal hours, at home and at work, getting 200% out of every aspect of life. With the daily stressful and busy routine, skin endures high-stress levels, insufficient sleep. along with the effects of the urban environment, such as pollution and various forms of radiation. The oxidative stress, cellular stress, and collagen damage cause the skin to burn out and start showing the signs of ageing. Nuxe Crème Prodigieuse Boost Skincare Collection is formulated with an antioxidant complex with Jasmine flower combined with Calendula flower and a cellular sugar which boosts the skin’s mechanism to cope up and provide maintenance support with the consequences of the fast-paced life. 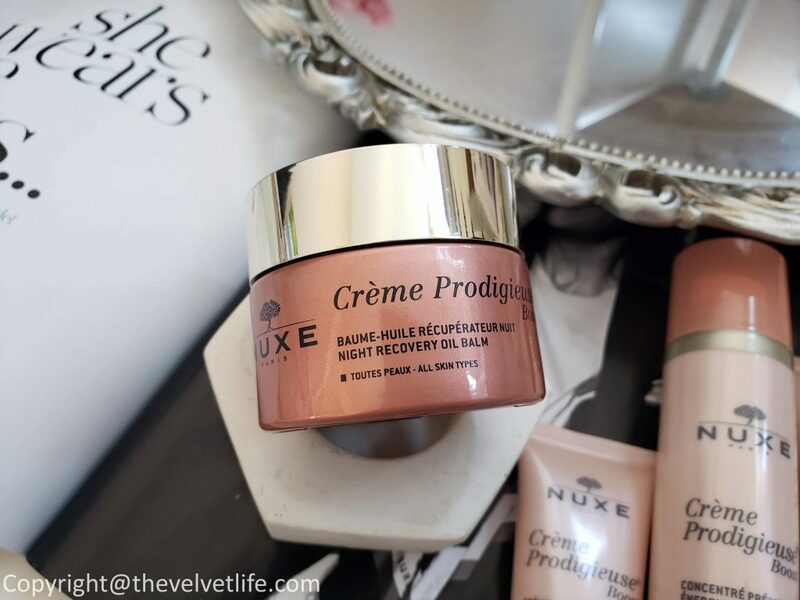 There are four products in the Nuxe Crème Prodigieuse Boost Skincare Collection which provide what they call is ‘Ctrl+Z’ effect means ‘undo’ effect to help with the effects of fatigue, stress, and pollution on the skin while keeping it fresh, plump, and luminous. The texture of the products are infused with freshness which melts into the skin. The scent of the products in this collection reinterprets its olfactory signature, rediscover the sensuality of the iconic fragrance (Orange Blossom, Magnolia, Vanilla), lifted with a fresh, lively blend of Jasmine Flower, the delightful acid notes of Pink Lychee and a sensual white wood base. Nuxe Energising Priming Concentrate, a booster infusion, is a primer to prepare the skin for day and night skincare. The serum-lotion combines 2 types of natural Hyaluronic Acid which also offers a visible smoothing effect while providing hydration. The Vitamin C in this concentrate provides radiance to the skin. Multi-Correction Gel-Cream, a daily booster, combines the jasmine flower antioxidant complex with the smoothing effect of natural Hyaluronic Acid. The result is revived fresh, radiant skin while the first signs of aging are diminished. Multi-Correction Eye Gel Balm, eye brightener, has a delicate, ultra-refreshing texture. This gel-balm diffuses a Botanical caffeine extract with the anti-dark circle and anti-puffiness properties in the eye contour area to counter the effects of an insufficient night’s sleep. Night Recovery Oil Balm, the night gaurd, has ultra-cocooning texture helps skin regeneration overnight. The result is luminous and smooth skin. Overall, the collection is definitely worth checking out for the busy women to whom the effects might not be noticeable on the surface of the skin but with time and not enough care, they will start appearing. 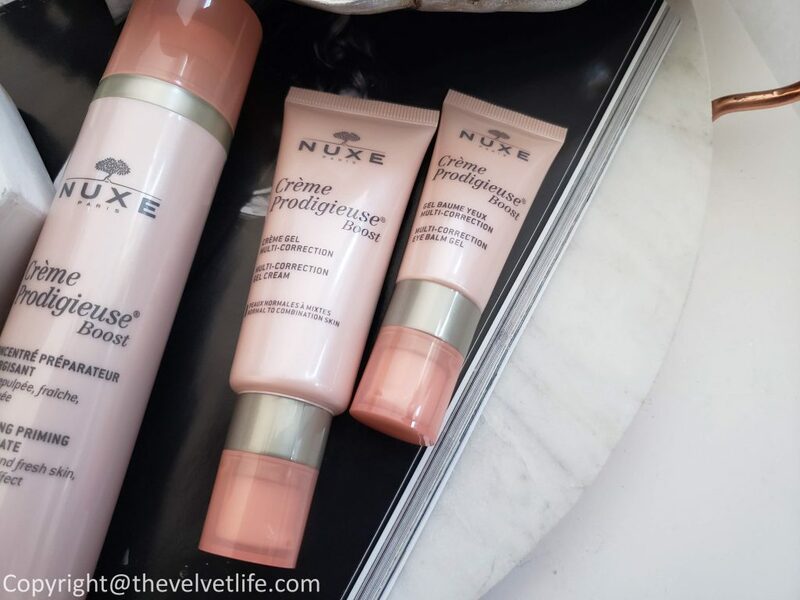 I believe in maintaining the best version of my skin and this collection is a keeper. The products help skin with moisturized, smooth, and plump, fresher, and a brighter complexion. 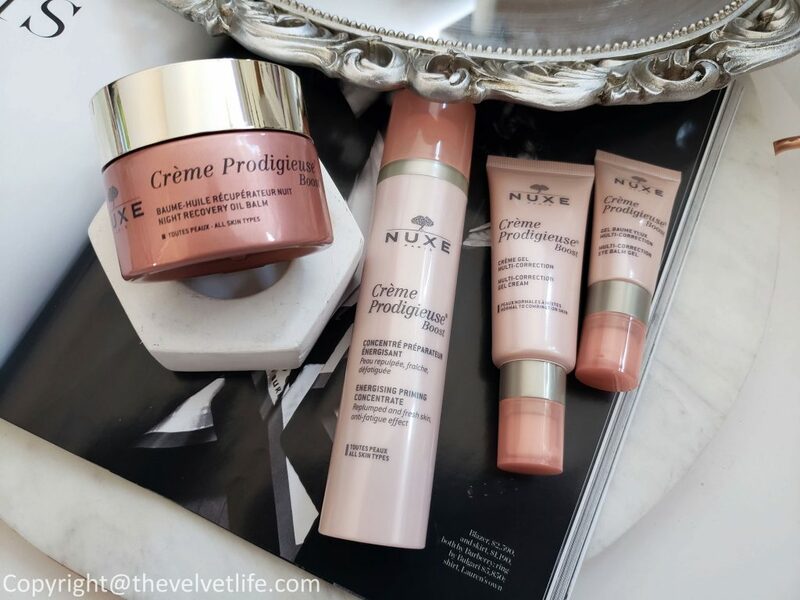 Nuxe Crème Prodigieuse Boost Skincare Collection is available at Hudson’s Bay, Shoppers Drug Mart, and Murale.